CD version in normal plastic CD box !The CD has 1 bonus song!! The Mullet Monster Maffia vs. Spellbound!! 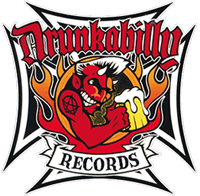 Ireland's psychobilly trailblazers SPELLBOUND have rocked three continents since their acclaimed Drunkabilly release 'Stir It Up' in 2011. 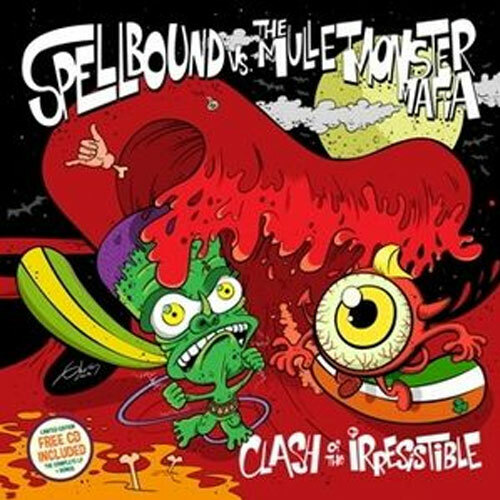 For the transatlantic split platter 'Clash Of The Irresistible' they've unearthed earlier recordings, delivering every shred of melody and mayhem these old school boogiemen are renowned for. Icing on the cake is 'You're The Devil In Disguise', a royal Elvis tribute from 'God Save The King'. A hunk of Dublin love. 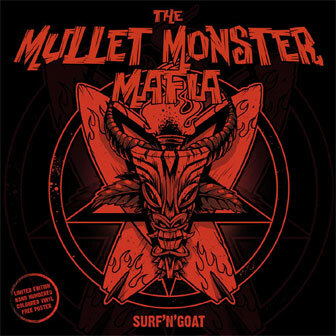 While Spellbound are no strangers to surf, THE MULLET MONSTER MAFIA are psycho for it. The noise from Brazil goes instrumental with the emphasis on mental, thrashing a splash of reverb on striking rhythms. On top of their original tsunami tunes, the Curitiba buccaneers rev up classics of The Surfaris, Dead Kennedys and The Ghastly Ones. Power surf galore! Apart from the regular cd, the vinyl album comes in a limited edition of 500 - including a free cd in jewel case containing all the songs plus bonus tracks - adorned with vibrant artwork by Chernobillies singer G-Lerm. Feast your eyes and ears on this.